A second type of turbine wheel can be made. In this case the blades stick from round the periphery of the wheel instead of sticking out at right angles to its surface. 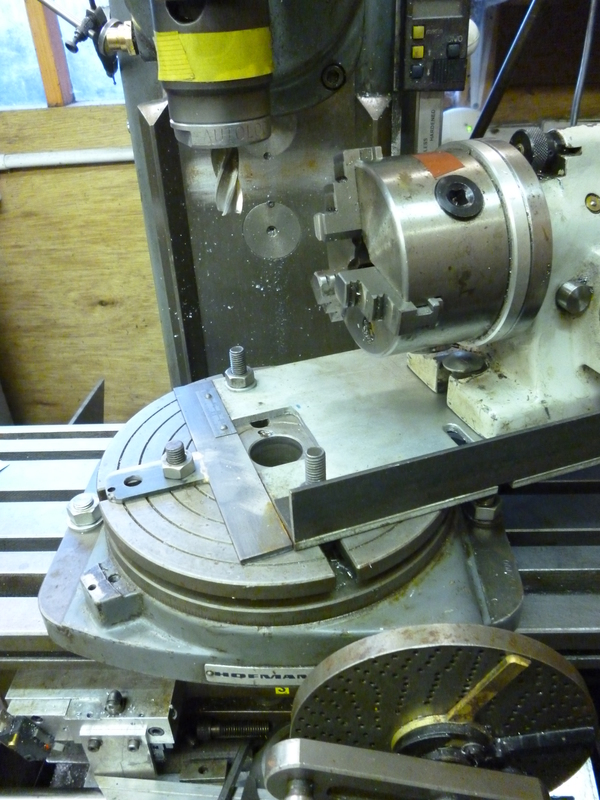 The make this a dividing head is mounted on a rotary table. The rotation of the rotary table determines the shape of the blade. It might be that this is used to provide a rough shape. But it would be possible to cut blades where both surfaces were part of a circle. The radius of the circles would be different. Either way the rotary table has to be centered relative to the spindle. The DRO’s are set to zero. The radius of the circle can then be set using the x or y feed. The dividing head provides the movement that is needed for making each turbine blade.